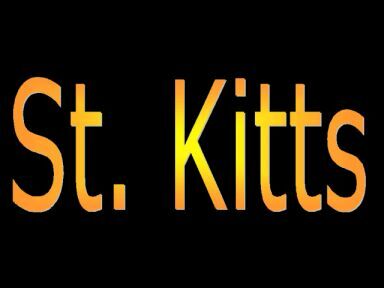 St. Kitts is 23 miles long and 5 miles across at its widest, encompassing an area of 68 square miles. The island's point of highest elevation is Mt. Liamuiga, at 3,792 feet. Nevis, the smaller island, lies to the south and is approximately 7 miles in diameter, covering a total of 36 square miles. The population on St. Kitts is 35,676 and on Nevis 9,576 people.